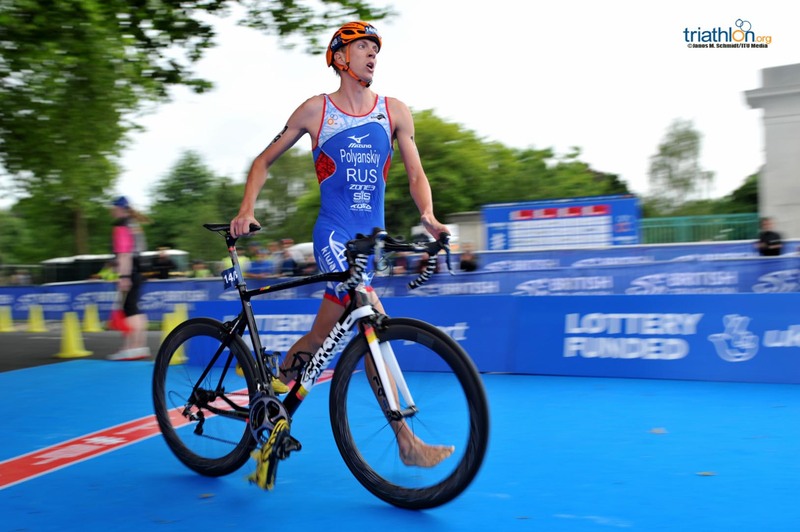 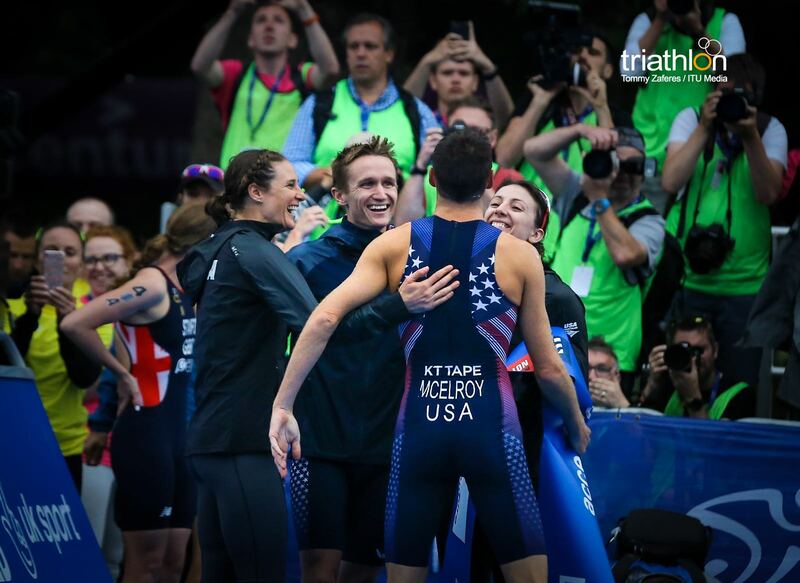 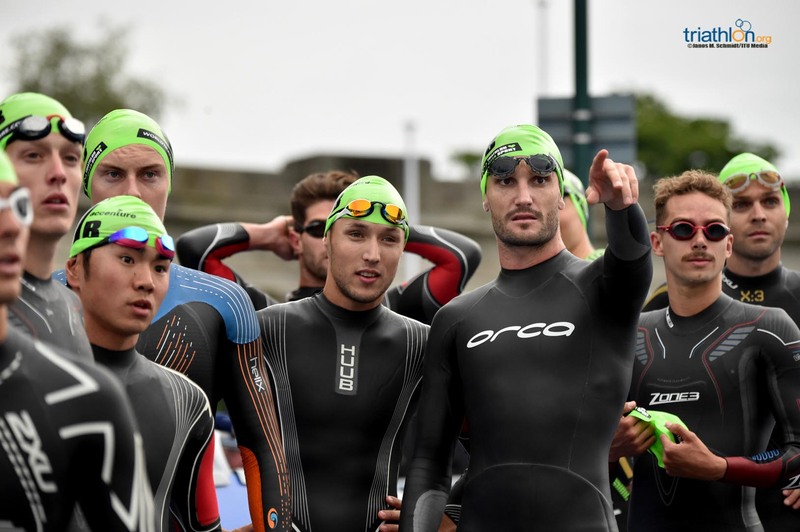 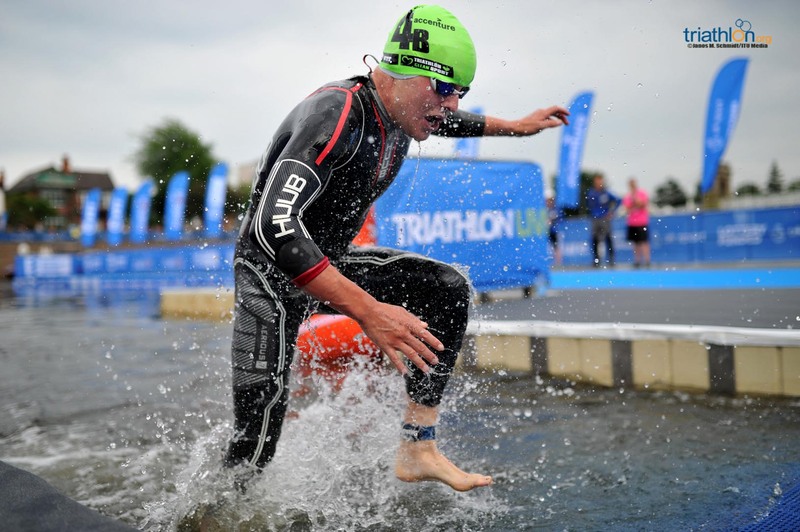 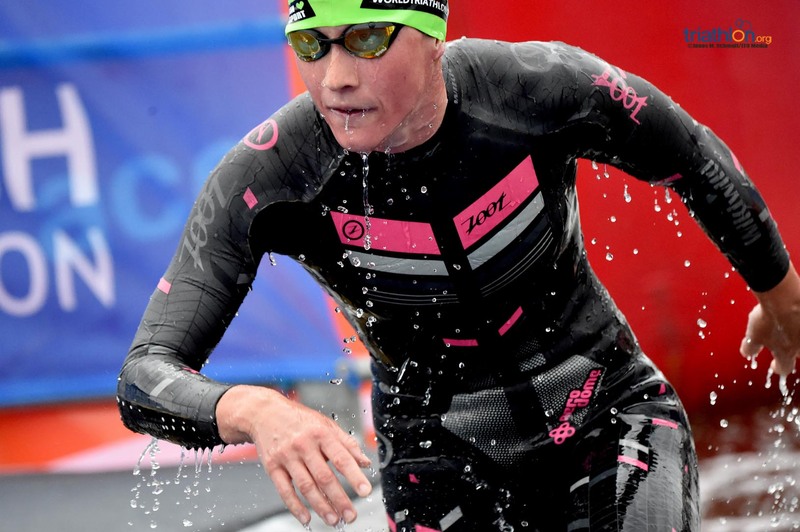 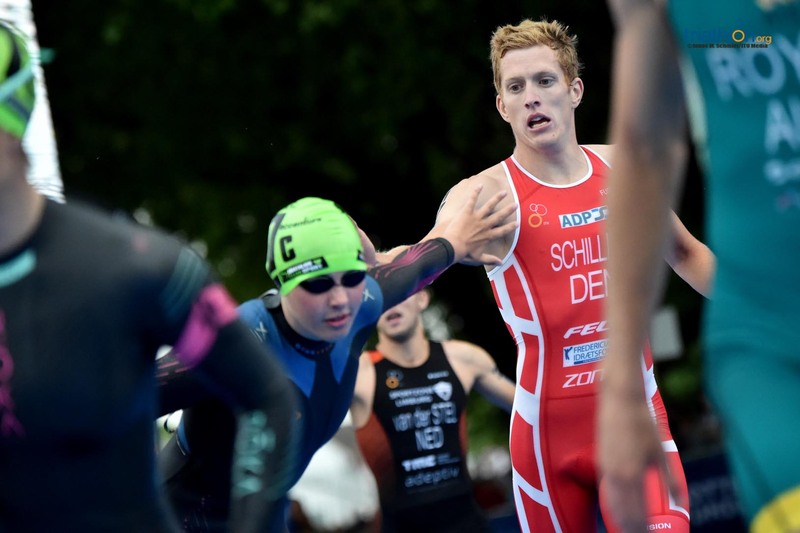 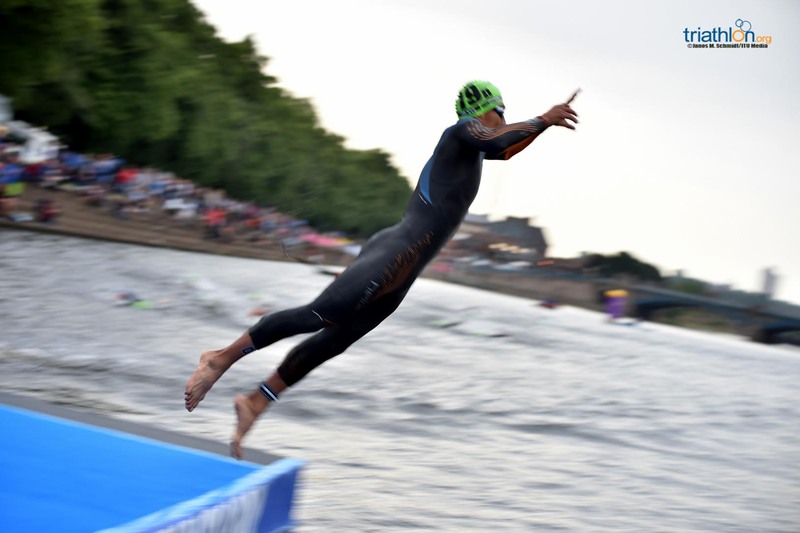 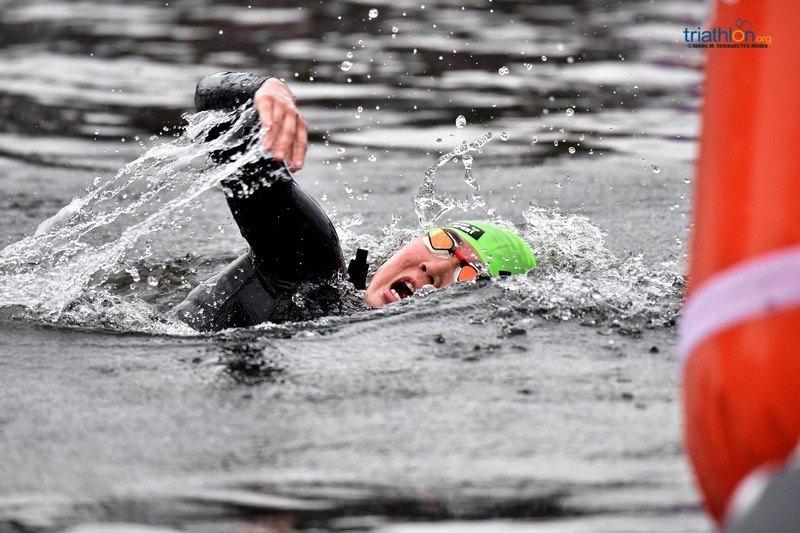 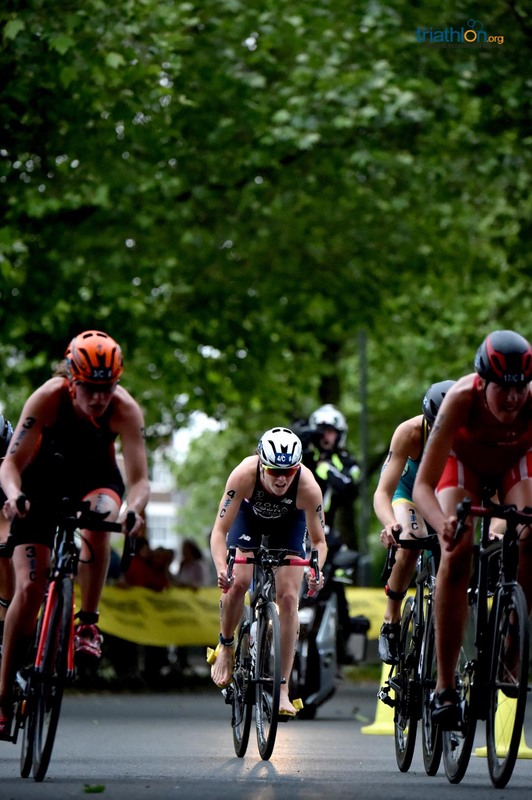 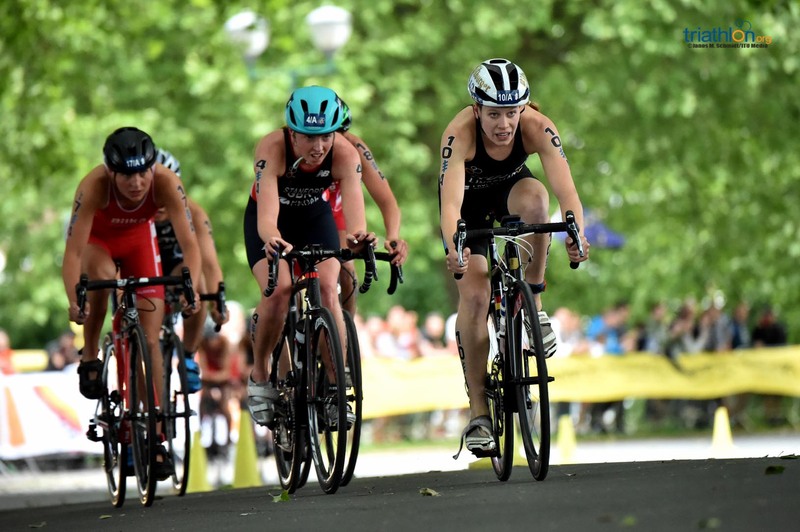 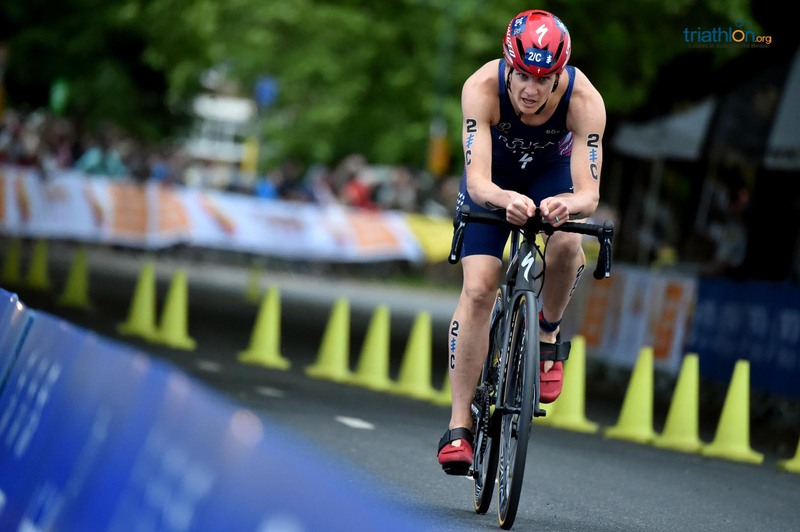 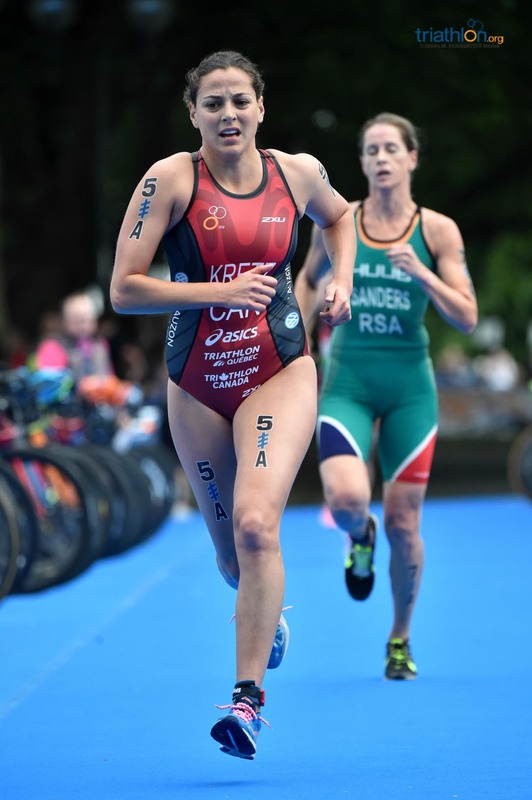 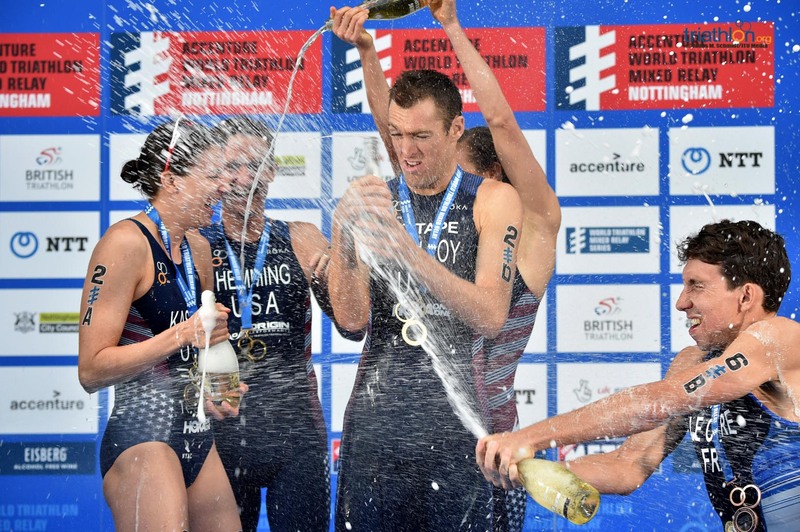 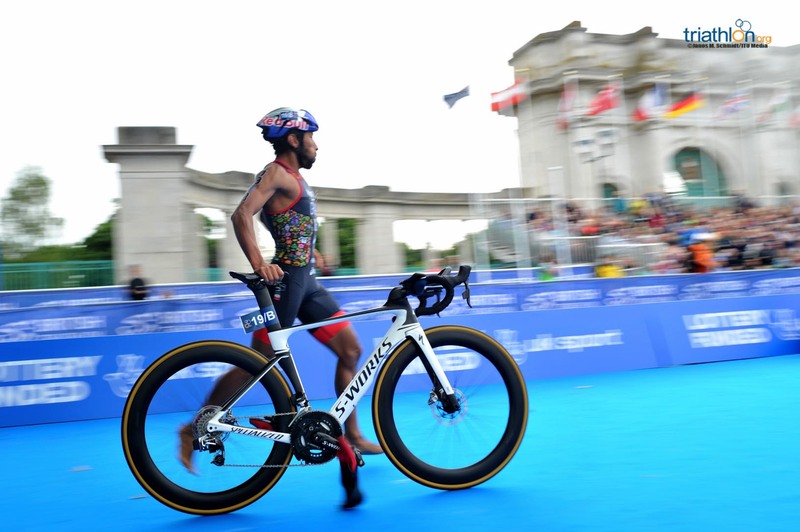 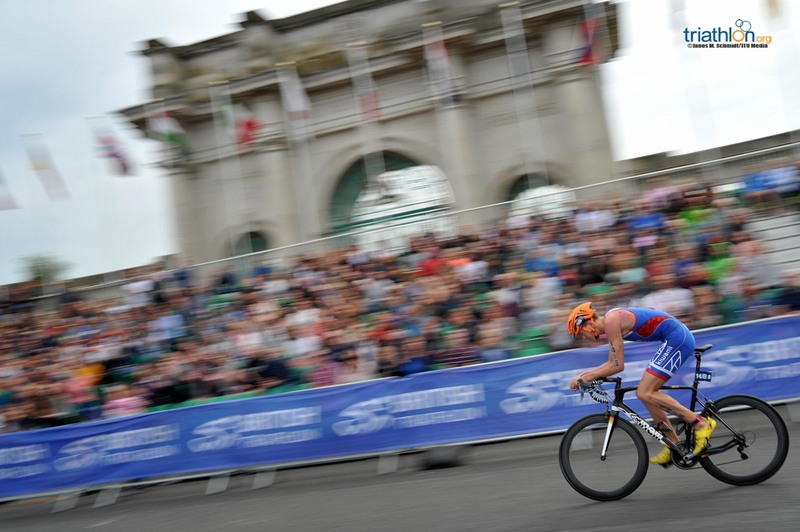 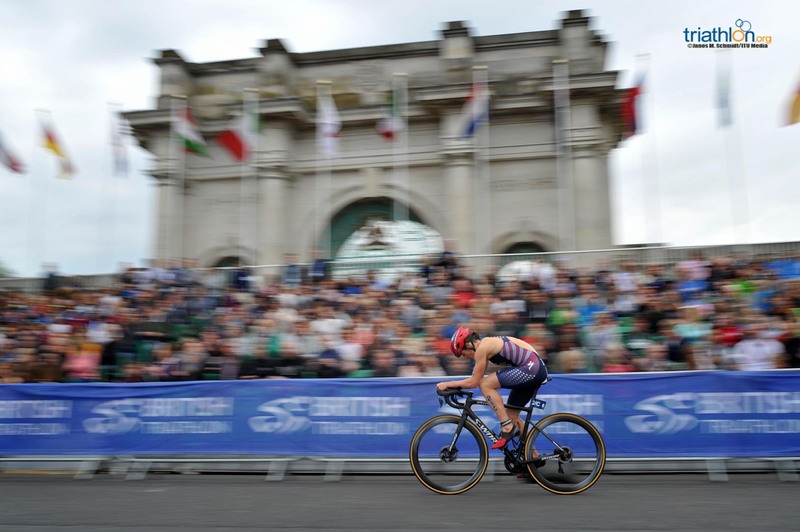 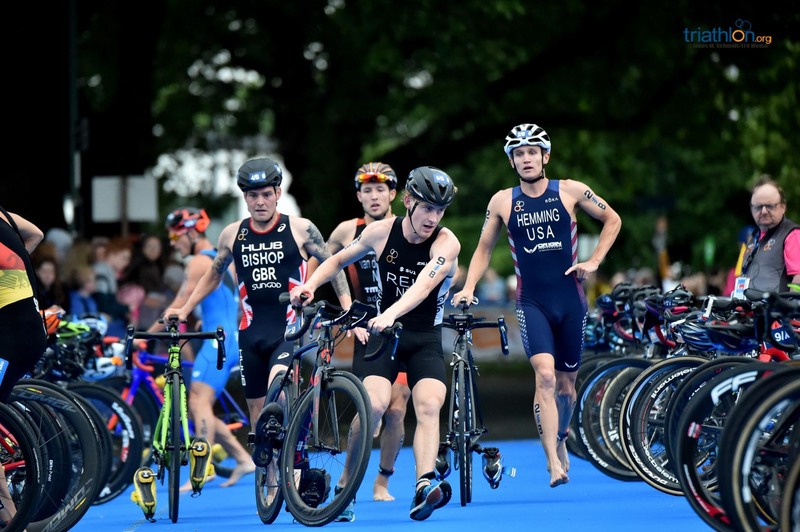 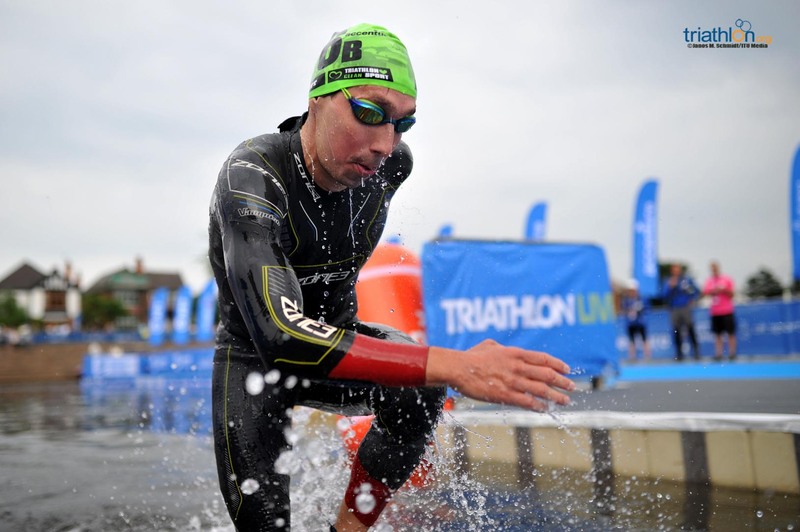 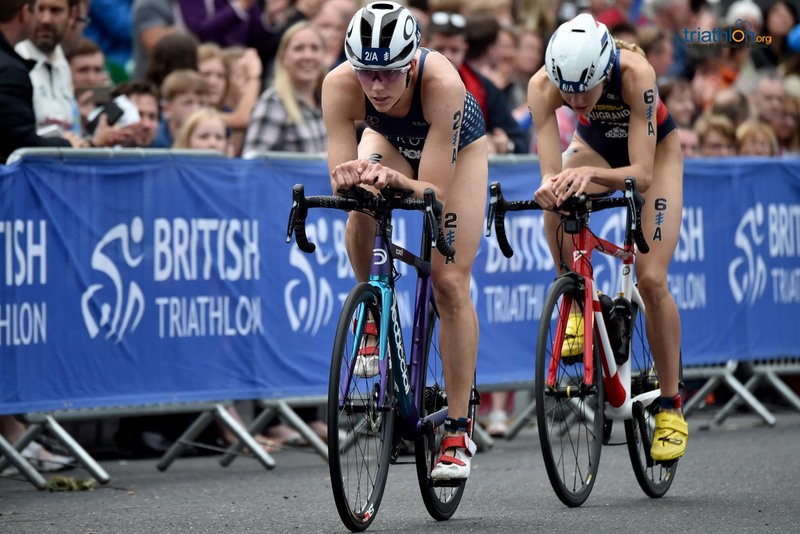 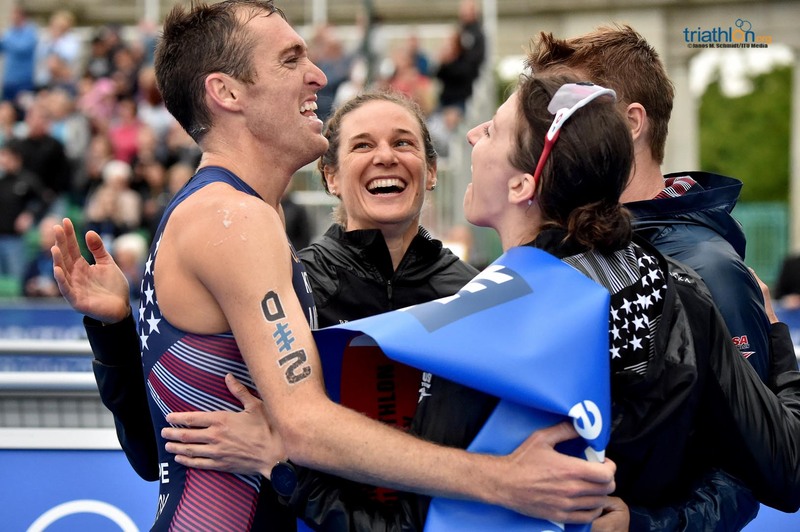 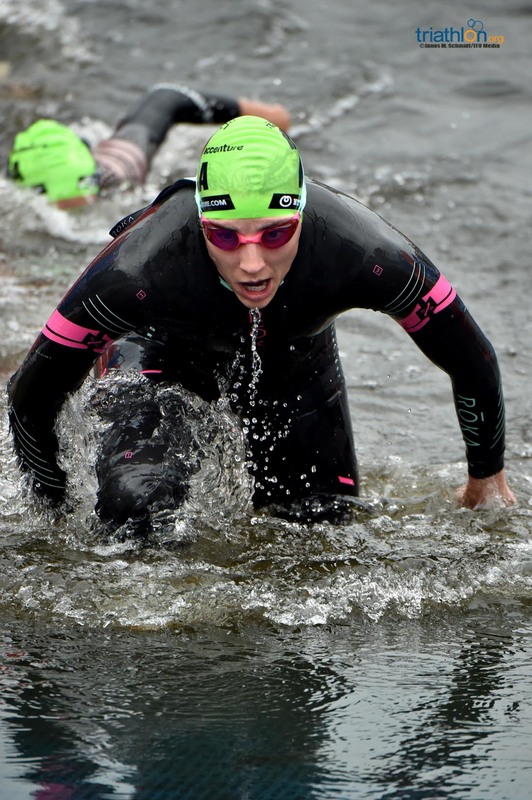 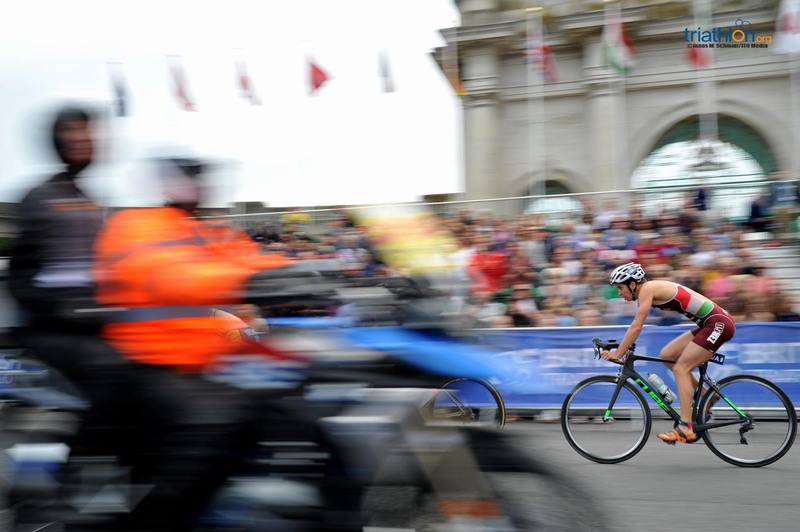 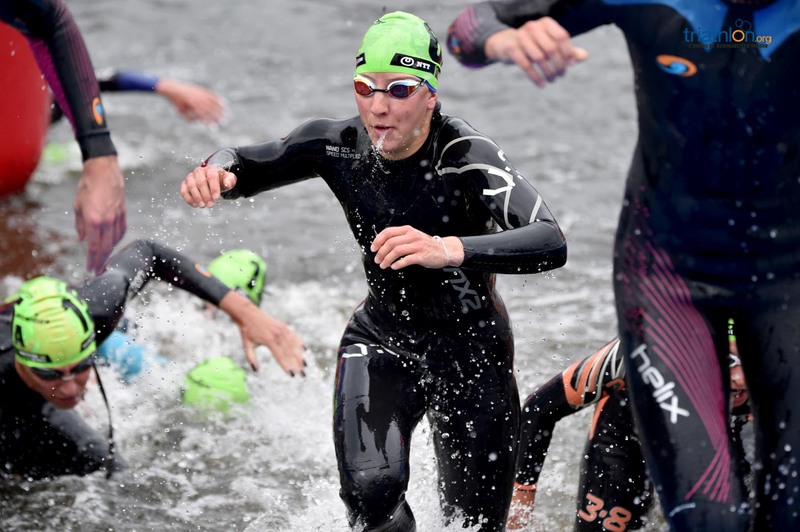 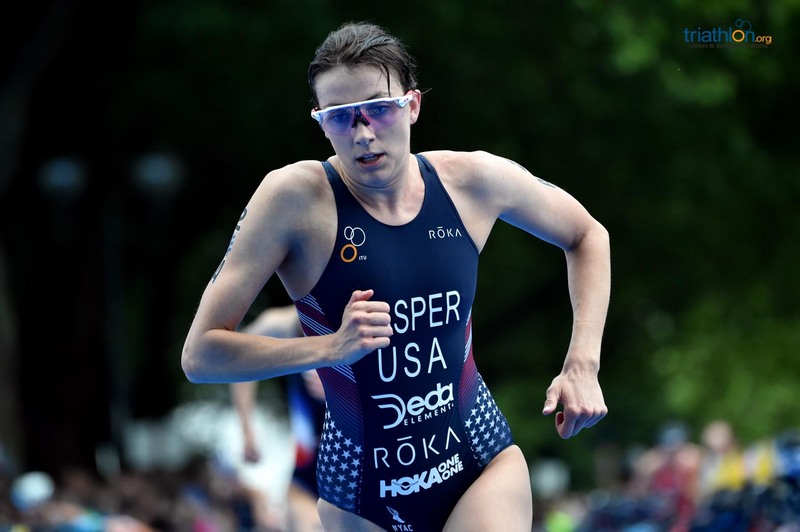 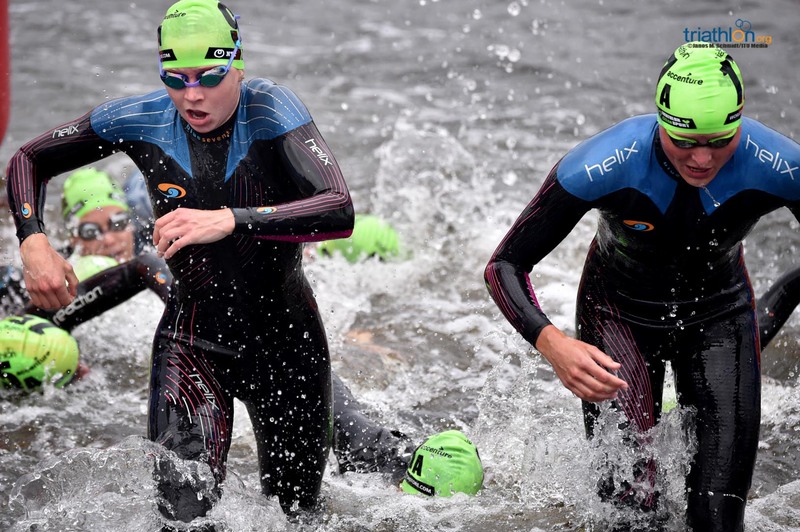 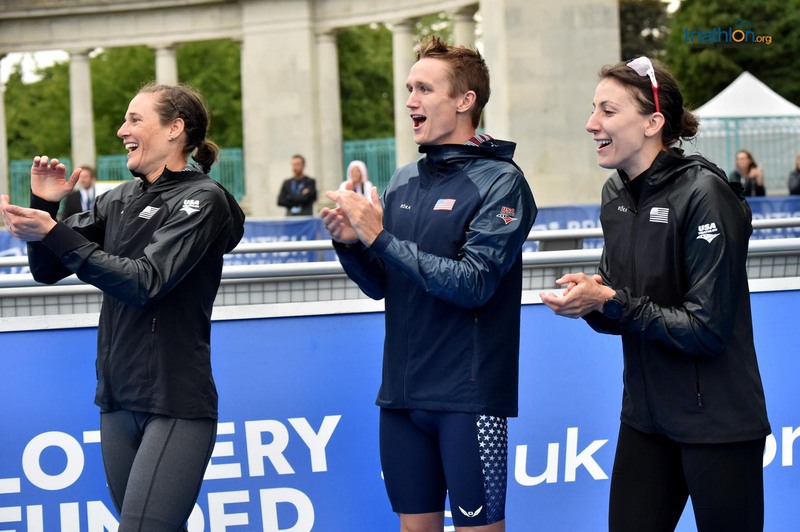 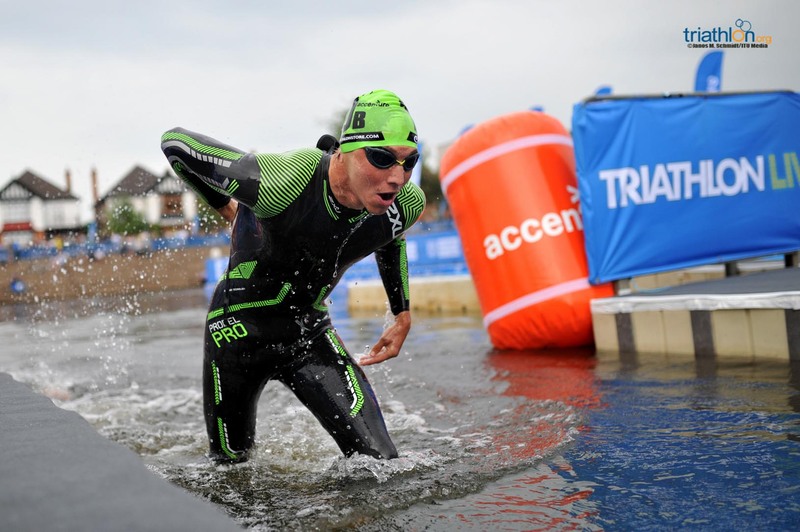 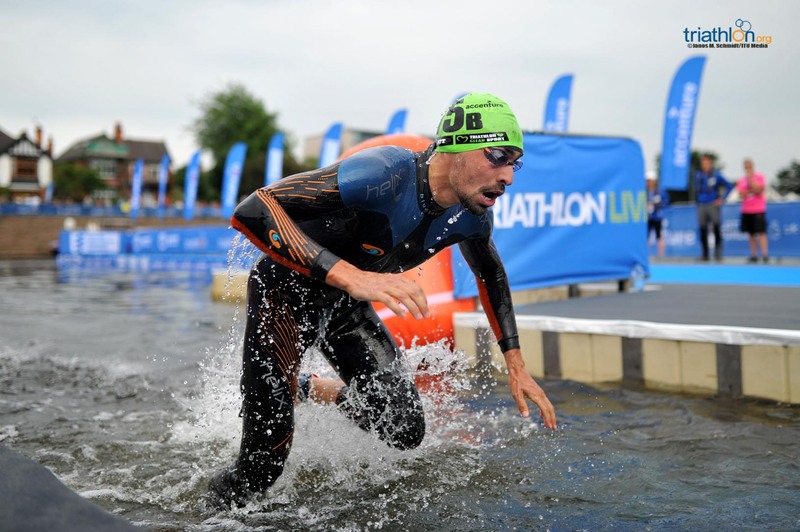 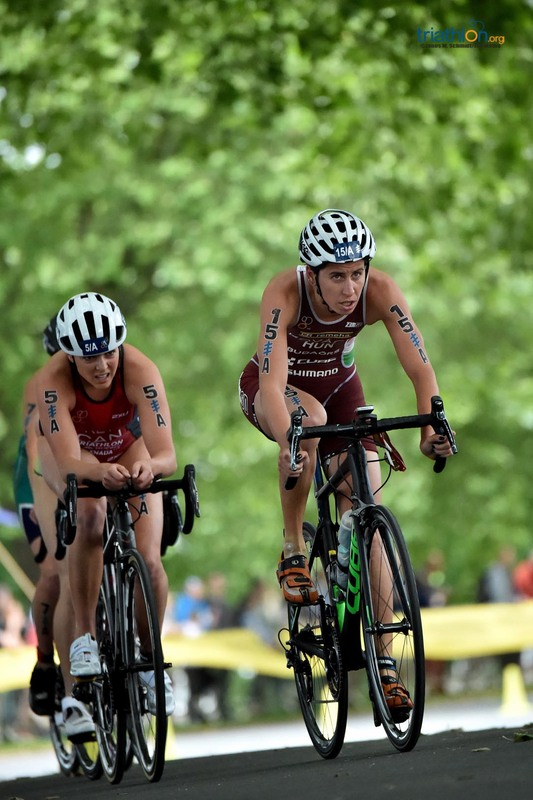 With unpredictable drama and an injection of team pride, the world’s leading triathlon nations will head to the River Trent in Nottingham this Thursday for the launch of the World Triathlon Mixed Relay Series. 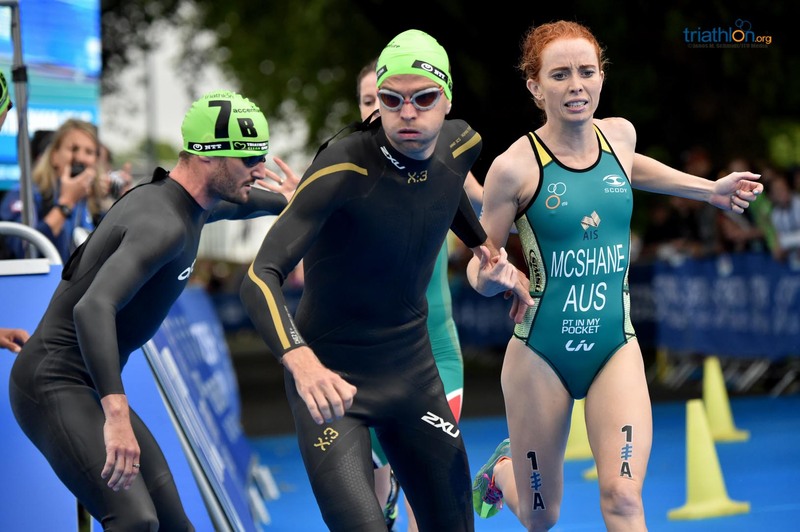 The start list features 18 teams, with a total of 72 of the world’s top athletes vying for ranking points on offer towards Olympic qualification, with Mixed Relay set to make its debut in Tokyo 2020. 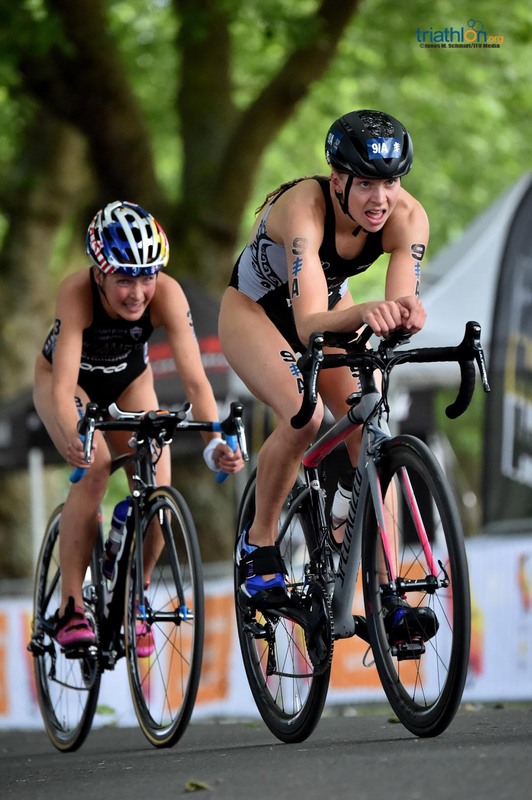 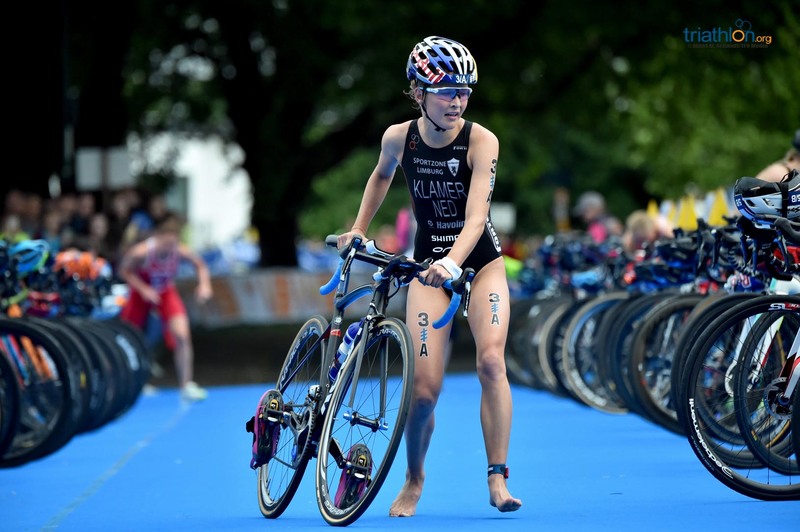 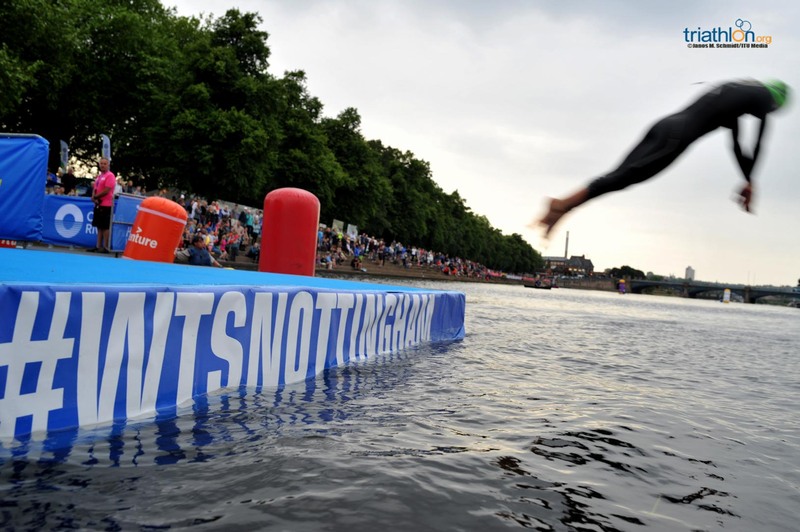 Nottingham hosts the first stop of the new series on Thursday, followed by the ITU Mixed Relay World Championships in Hamburg, Germany, on July 15. 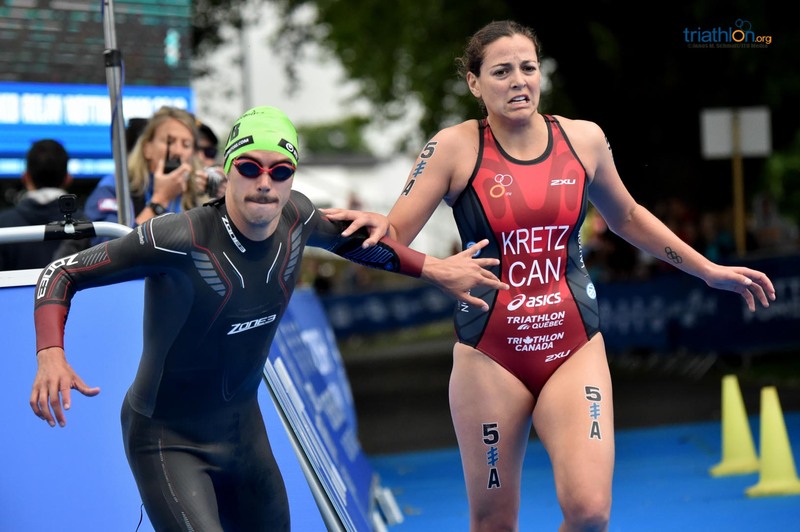 The series finale will be held in Edmonton, Canada, on July 28. 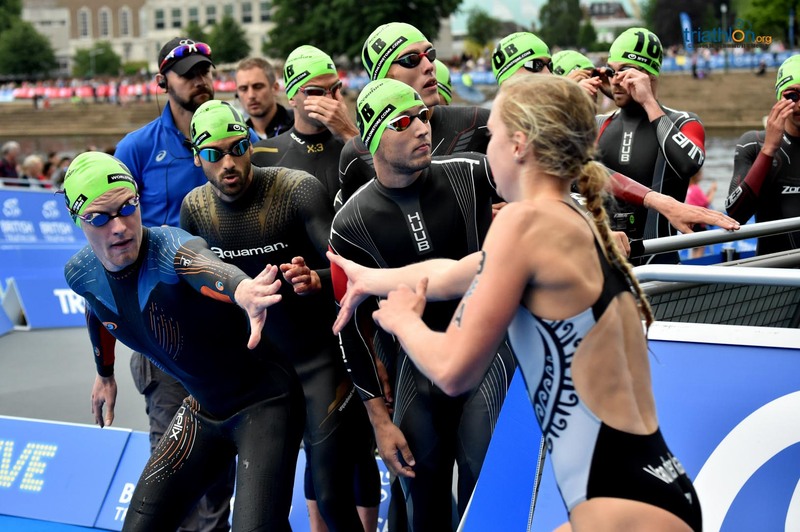 The teams have until up to two hours before the race start to announce their final squad line ups, which leads to the first strategic battle of the day with some countries announcing their athletes well in advance, while others prefer to wait until the last minute. 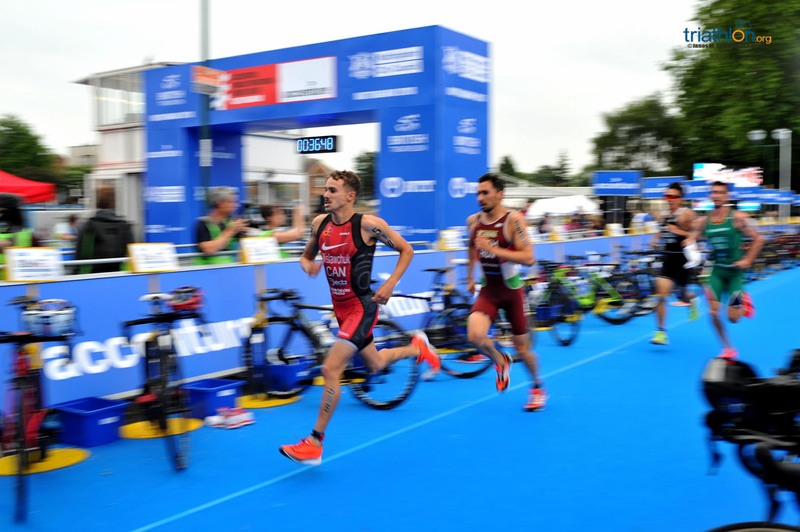 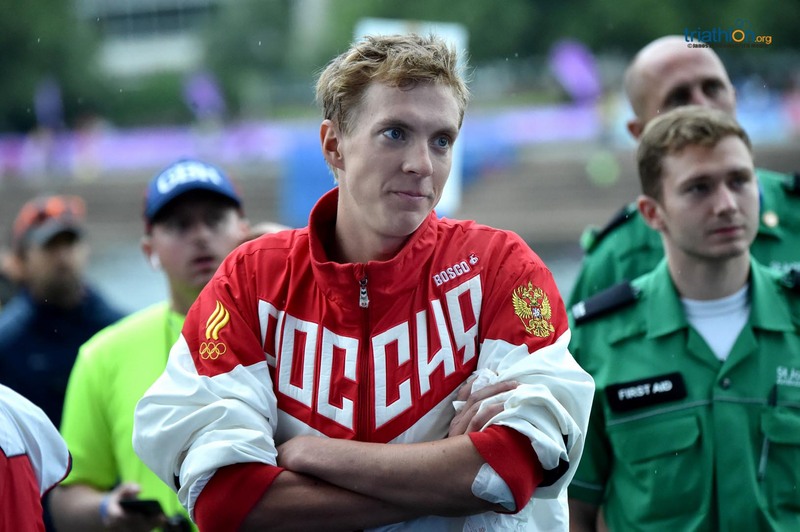 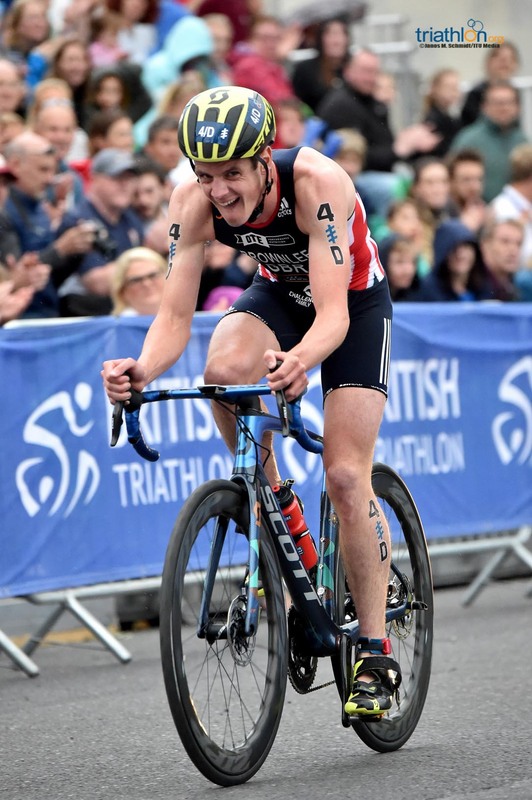 Undoubtedly one of the strongest teams will be hosts Great Britain, with the preliminary squad featuring two Olympic medal winners in Jonathan Brownlee and Vicky Holland, along with former ITU world champion Non Stanford and ITU World Triathlon Series medallist Tom Bishop. 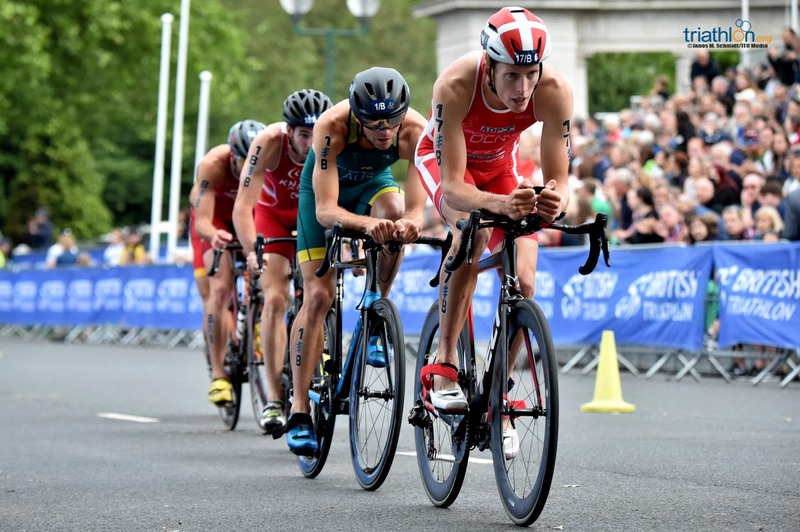 Also vying for podium spots will be the recently crowned Commonwealth Games champions, Australia. 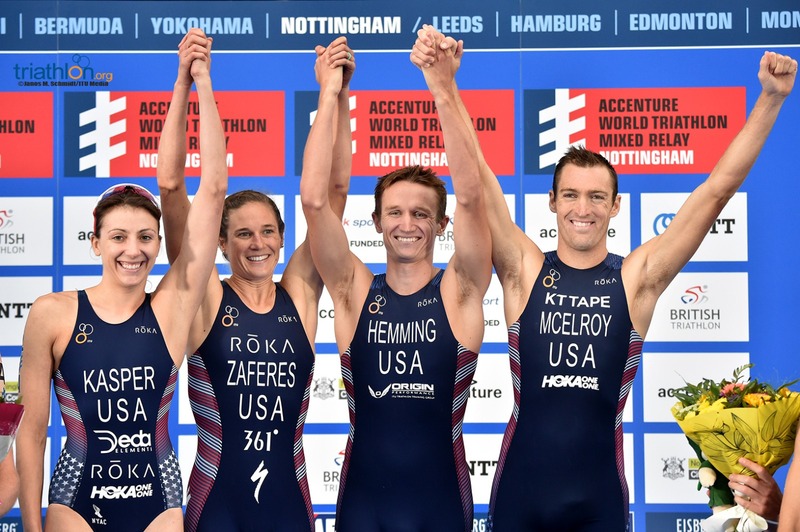 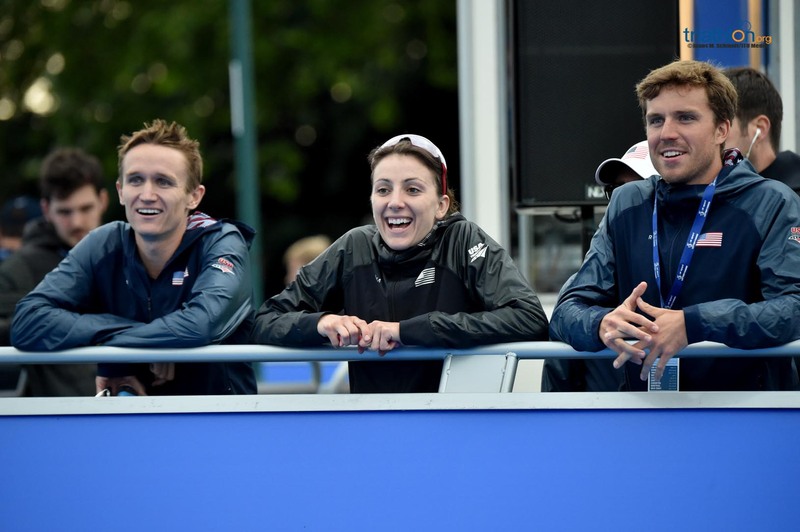 The current World Champions certainly know how to compete in a relay, and the team has amassed more medal finishes than any other country in the Mixed Relay history, including last year’s World title. 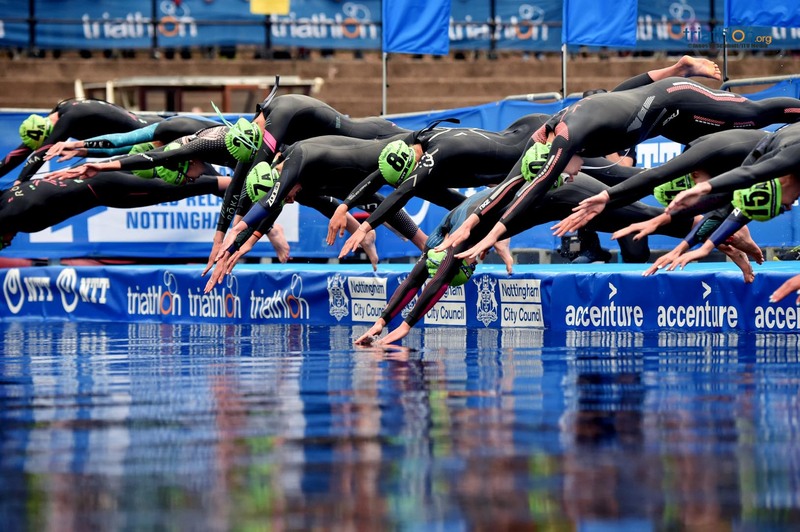 The Australians, like the Americans, are among those teams keeping the athletes that will be competing in Nottingham under wraps until the very last minute, but expect some of the fastest athletes in the field to line up on Thursday. 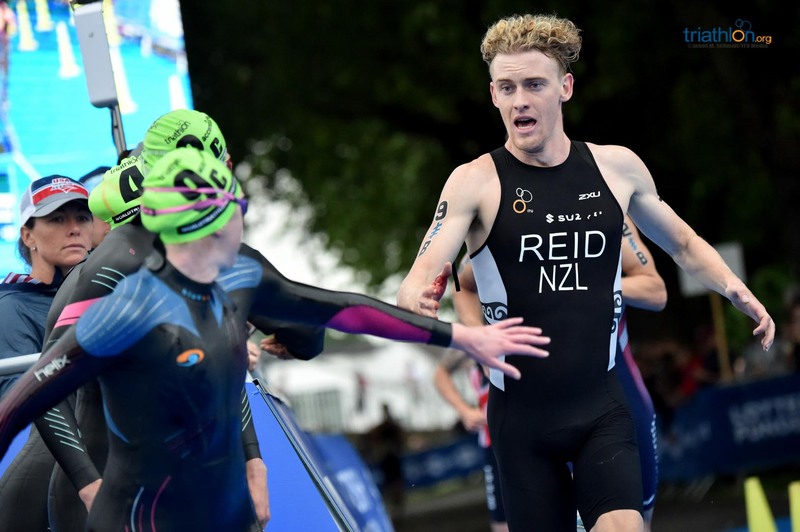 Another team that can be expected to be among the ones fighting for the podium will be Canada, with two of the rising stars of the season, Joanna Brown and Tyler Mislawchuk, on their team, while New Zealand is lining up a team with young stars, led by Nicole Van der Kay and Tyler Reid, bronze medallists in the Commonwealth Games. 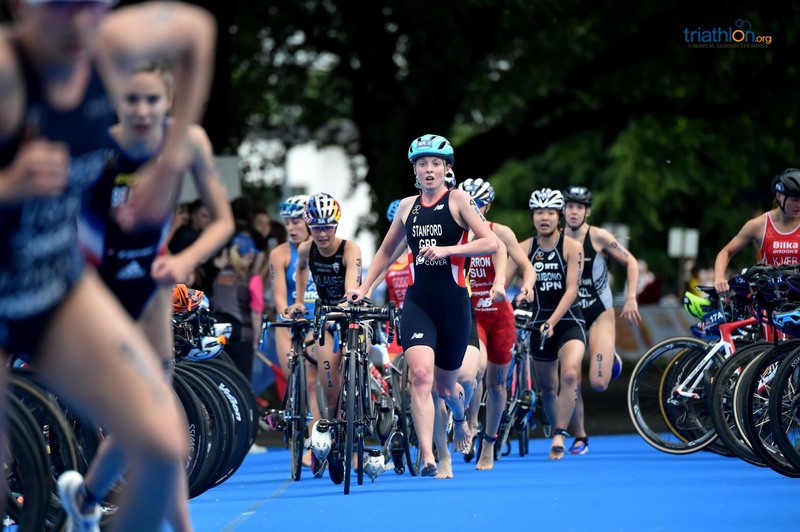 On the other hand, some teams as France, Japan, Spain or Italy have also spots reserved for the next generation of athletes. 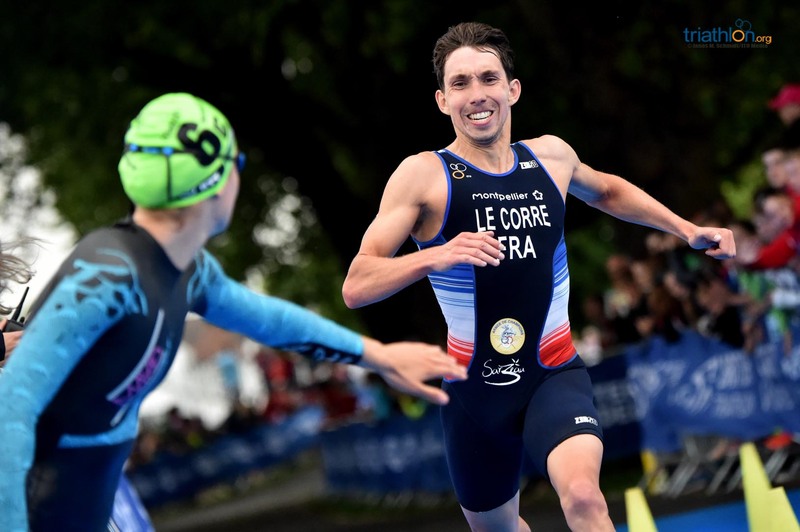 Cassandre Beaugrand, Pierre Le Corre, Mathilde Gautier and Léo Bergere will be defending the French colours, while Spain will have the Godoy siblings, Anna and Cesc, along with Sara Perez Sala and Antonio Benito. 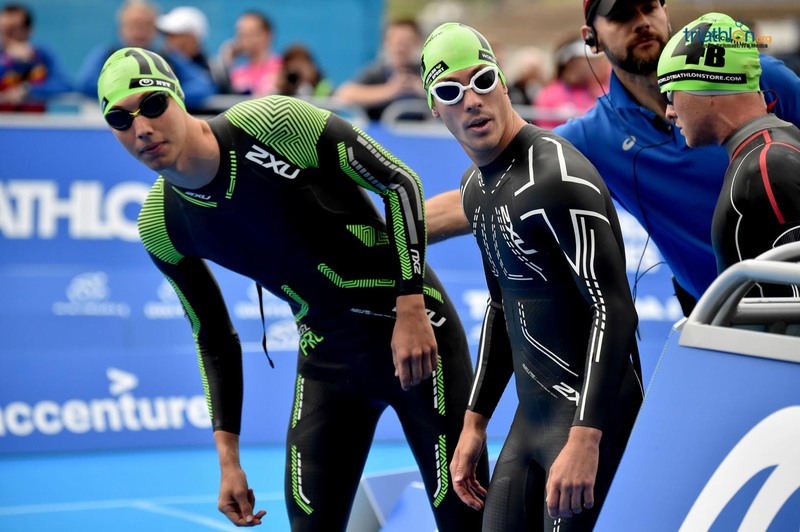 For the South Africans, the team will be almost the same as the one which competed in the Gold Coast two months ago, with Henri Schoeman and Richard Murray taking the responsibility of leading the team along with Gillian Sanders and Anel Radford. 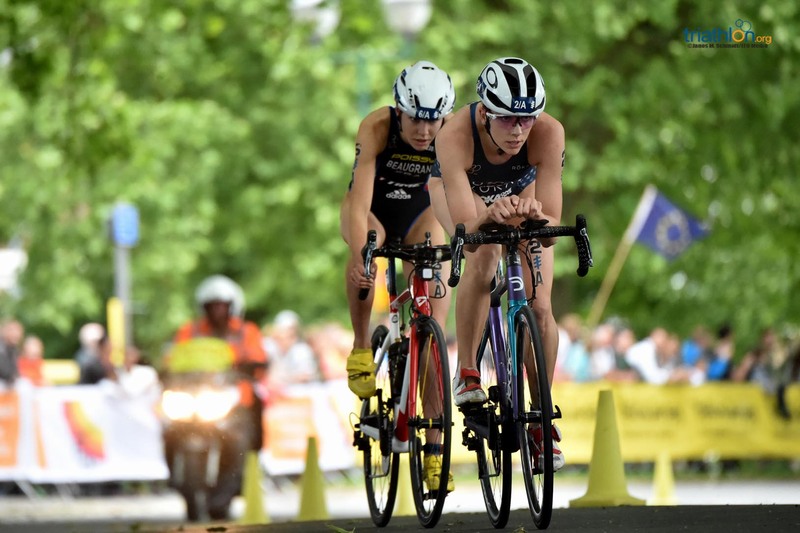 With a fast and furious course, the fight for the medals and the first ranking points will be fierce, with some other teams also worth keeping an eye on, like the Danish -current European Champions-, or the Swiss, with double Olympic medallist Nicola Spirig lining up in Nottingham. 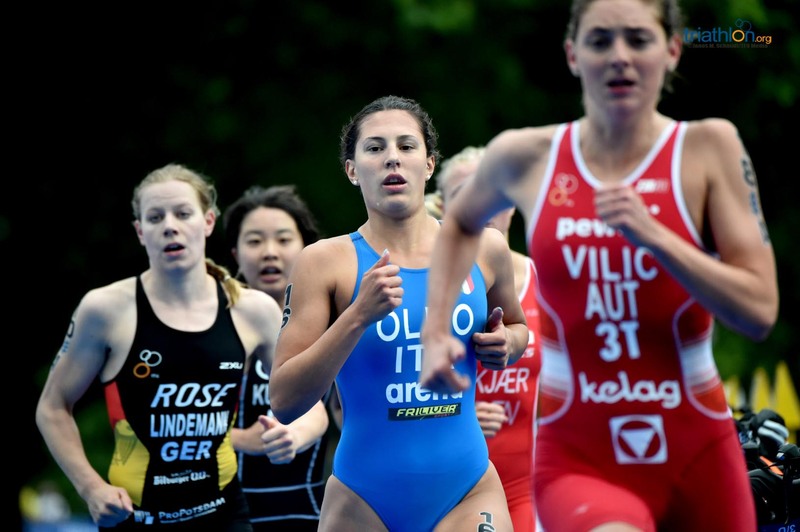 ITU’s Triathlon Mixed Relay format is racing at its most exciting, where the typically individual sport combines with a team mentality. 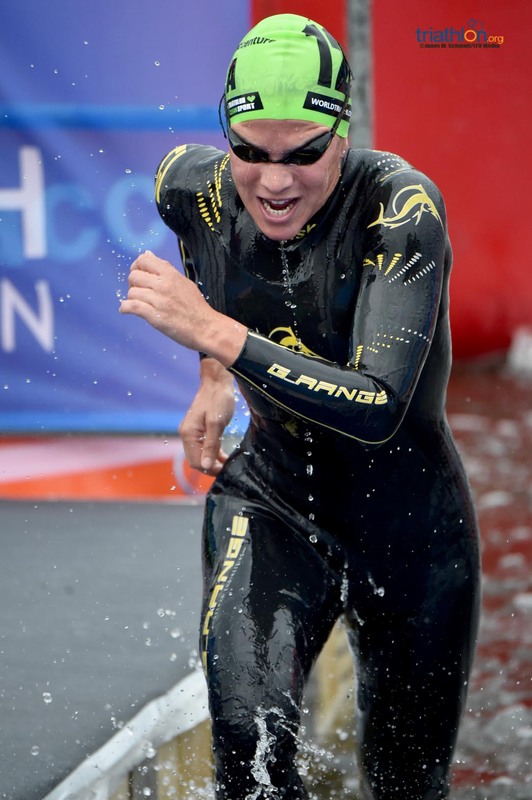 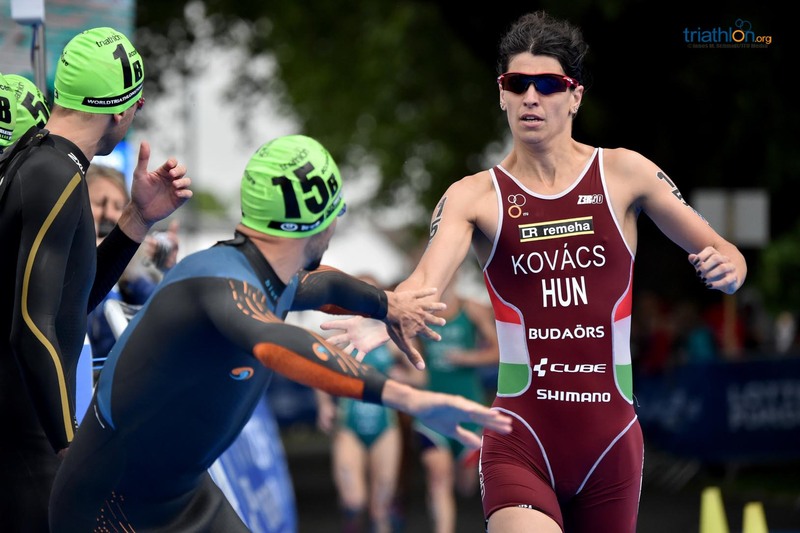 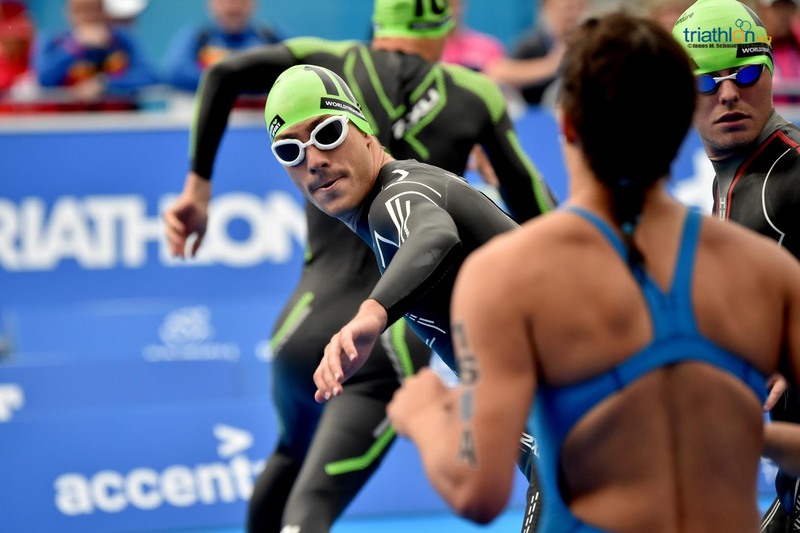 The innovative format sees two men and two women from the same country each completing a “mini triathlon”: 300m swim, 6.6km bike and 1.5km run, before tagging their teammate in a female–male–female–male pattern. 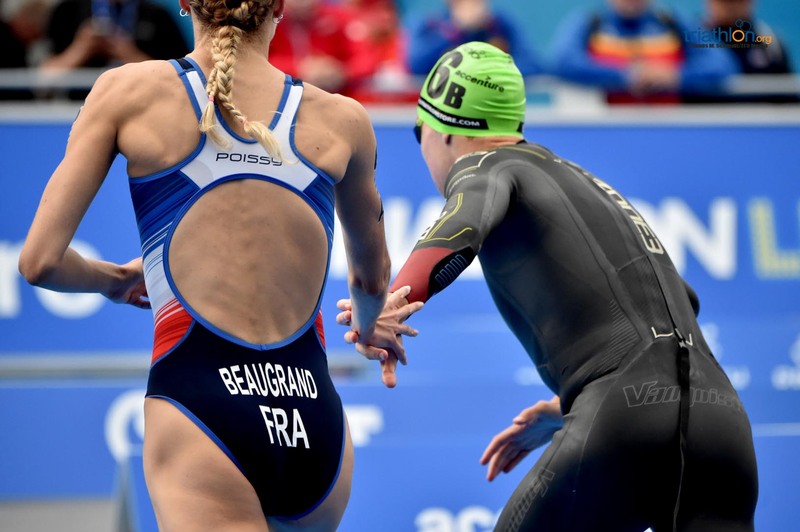 Among the most exciting aspects of the Mixed Relay are the athletes’ spectacular running dives after being tagged, the adrenaline–fuelled, non–stop velocity over the shorter distance, and the tight switches in leaders and team pride that all come together to deliver a unique intensity. 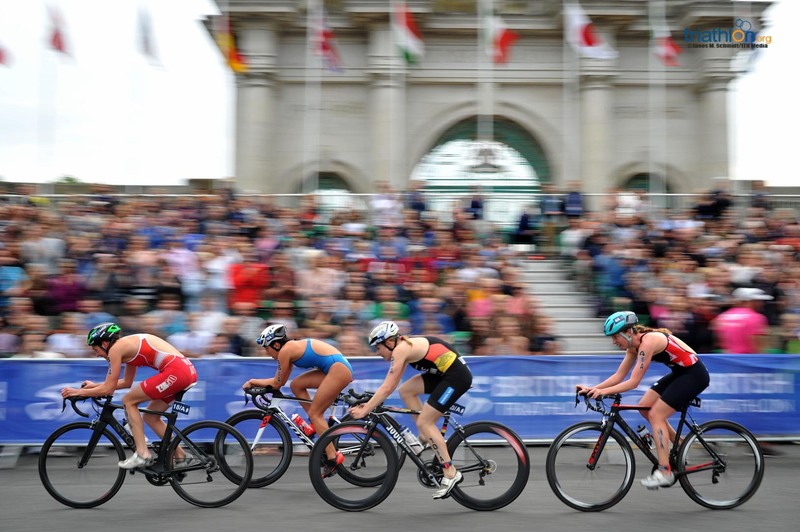 The very first ITU Triathlon Mixed Relay World Championships was held in Des Moines, Iowa, USA in 2009 when the Swiss Team claimed the World Crown. 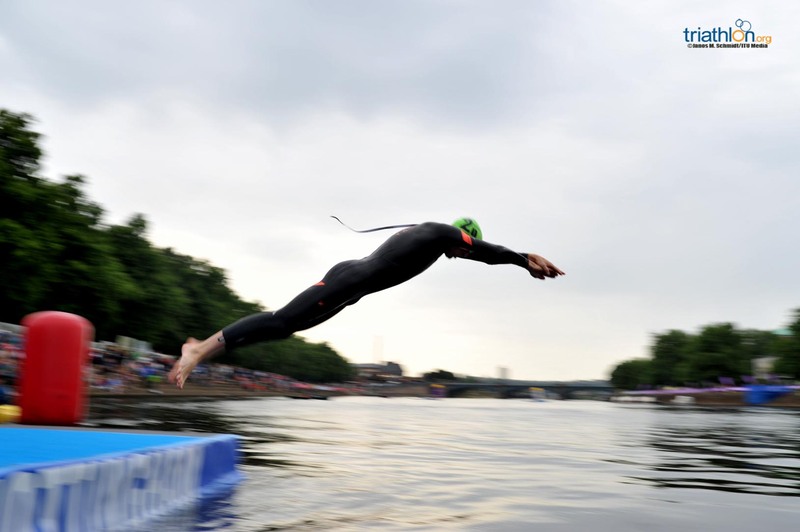 In 2013, the World Championships were held in Hamburg, Germany, for the first time, where 2018 will be the sixth straight year as host. 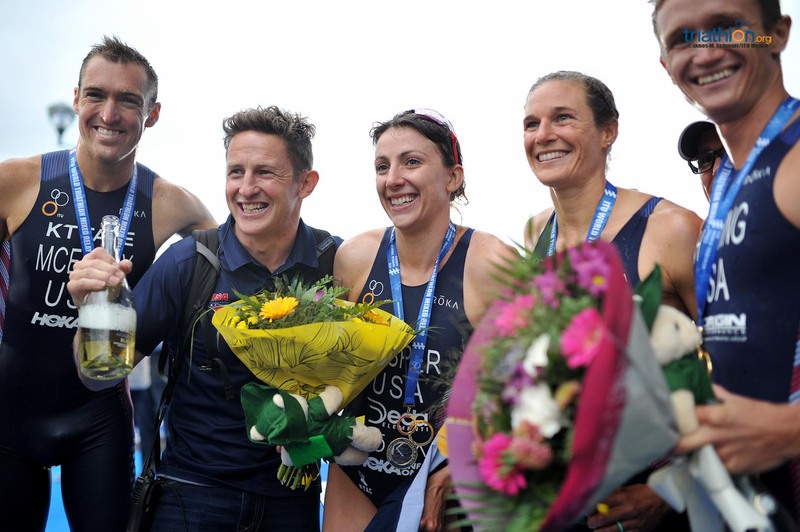 Current World Champions are Team Australia, with Team USA claiming the silver and Team Netherlands bronze in 2017. 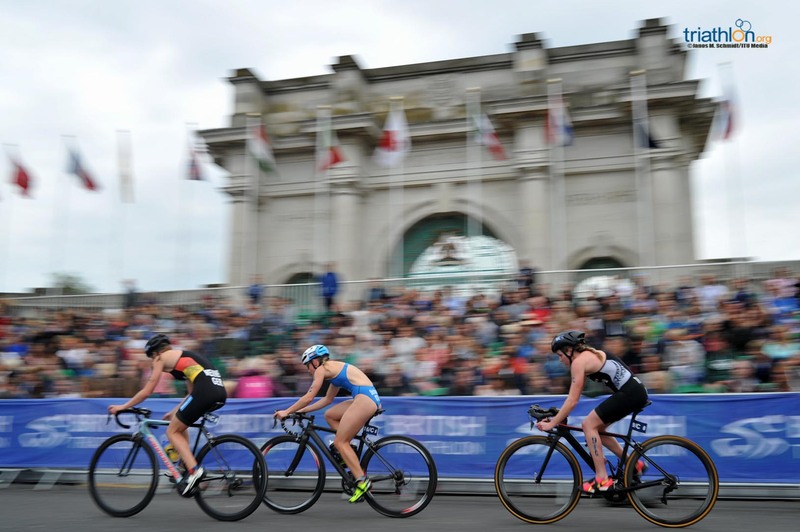 After the sport was introduced, the format was quickly adopted globally, and has been included in Major Games programmes such as the Youth Olympic Games and Commonwealth Games. 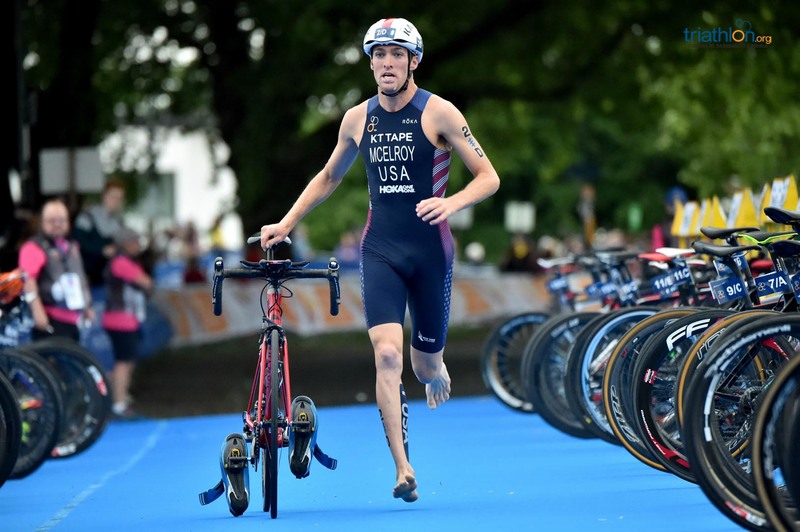 In 2017 it was officially announced that Triathlon Mixed Relay will make its Olympic debut as an official sport in the Tokyo 2020 Olympic Games.